NHS whistleblowers are demanding an independent inquiry into their treatment by hospital managers after a long-awaited report was declared a ‘whitewash’. In a scathing letter to the report’s author, they accused him of failing to hold any managers to account and leaving patients at risk of serious harm. The NHS’s ‘Freedom to Speak up Review’, which was published a fortnight ago, told how whistleblowers have faced a culture of ‘fear, bullying and ostracisation’ for daring to speak out. But whistleblowers whose careers have been ruined said still no action has been taken to address the concerns about patient safety that they have been making for years. Despite hearing awful reports about failures and cover ups over patients’ deaths, the report’s author Sir Robert Francis has ‘ignored’ their stories, they said. ‘We expected that you would have taken action in these matters which involved patient harm, death and fraud,’ the whistleblowers have written to Sir Robert. ‘Those responsible have not been held accountable. Lessons have not been learned. Patients and their relatives have not been told the truth. The letter, which has been signed by three NHS whistleblowers, added: ‘We feel that we have not been taken seriously, which has been our experience as whistleblowers all along. Sir Robert was commissioned last June by the Government to head the review into whistleblowing in the NHS. He previously led two inquiries into the scandal at Mid Staffordshire hospital, where 1,200 patients died needlessly. Some 600 NHS staff spoke to the barrister and his team, who were also overwhelmed by 19,800 responses from other employees to an online survey. 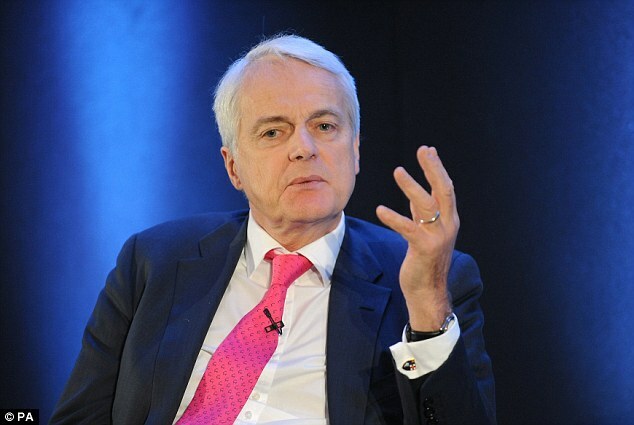 Sir Robert reported that whistleblowers are too often derided as ‘snitches, troublemakers and backstabbers’. He said many had, in effect, been blacklisted by the NHS, facing being ‘victimised’ by managers, forced out of their jobs and unable to find other work. The barrister made 20 recommendations – including a ‘whistleblowing guardian’ at each hospital – which the Government has promised to enforce in an attempt to change the culture of silence in the health service. NHS whistleblowers, however, have since confronted him, outlining their ‘serious concerns’ that his report has failed to address any of the specific concerns made by NHS staff about the alarming treatment of patients. The letter has been signed by three high profile whistleblowers, including Dr David Drew, a top paediatrician who was sacked after claiming he had witnessed a cover up over a child’s death. It has also been signed by Sharmila Chowdhury, a senior radiography manager who spoke out about a £250,000 fraud at her Trust, and a third colleague who asked not to be named. Dated February 23, 2015, the letter states: ‘We have now had an opportunity to digest your report and have a number of serious concerns. ‘More than 600 individuals made detailed submissions to the quantitative review. ‘We suppose that many, like us, assumed that you would take these seriously as disclosures made in the public interest and act on them. That is what you told us when we first met you. The Freedom To Speak Up review set out 20 principles to bring about change in the NHS. Culture of raising concerns – to make raising issues a part of normal routine business of any well-led NHS organisation. Sir Robert suggests that every NHS trust should have an integrated policy and common procedure for all employees to formally report incidents and raise their concerns. Culture free from bullying – freedom of staff to speak out relies on staff being able to work in a culture which is free from bullying. The report urges all trusts to consistently show intimidation and victimisation to be unacceptable behaviour. Training – every member of staff should receive training in their trust’s approach to raising concerns and in receiving and acting on them. Support – all NHS trusts should ensure there is a dedicated person to whom concerns can be easily reported and without formality. They should also provide staff who raise concners with ready access to mentoring, advocacy, advice and counselling. The report suggests each hospital appoint a freedom to speak up guardian to fulfill that role. ‘You have allowed situations where patients are at risk and where managers act defensively out of self-interest to continue unaddressed. They went on to demand that the submissions are now properly dealt with under ‘independent scrutiny’. After the report was published, there was particular unease about a key clause which advised whistleblowers not to speak to the press, saying they should only do so as a ‘last resort’ to avoid causing ‘considerable distress’. 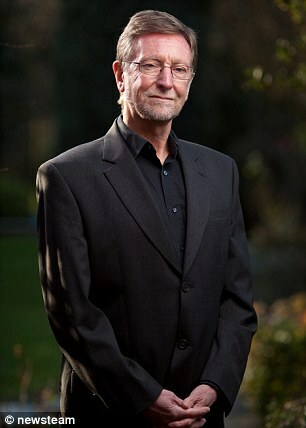 Dr Drew told the Mail he was publicising the whistleblowers’ letter to Sir Robert because ‘the press seems to be the only way to squeeze the truth out’. In his review, Sir Robert said: ‘What I heard during the course of the review from staff, employers, regulators and unions and others leaves me in no doubt that there’s a serious problem in the NHS. 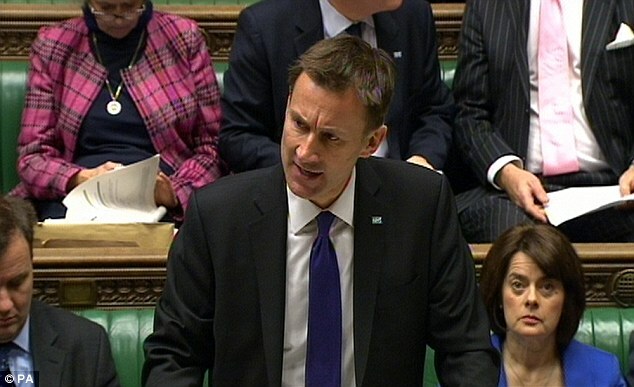 Health Secretary Jeremy Hunt told the Commons: ‘The only way we will build an NHS with the highest standards is if the doctors and nurses who have given their lives to patient care always feel listened to when they speak out about patient care. ‘The message must go out that we are calling time on bullying, intimidation and victimisation, which have no place in our NHS. Last night, Sir Robert Francis said: ‘I was asked by the Secretary of State to review the way concerns are handled and how those who raised them are treated. ‘I was not asked to investigate or pass judgement on the concerns themselves and made it very clear to all concerned that I was not going to do so. A Department of Health spokesman added: ‘Since Mid Staffs, there have been significant changes to make the NHS the safest and most transparent healthcare system in the world. Responding the Dr Drew’s comments, a spokesman for the Walsall Healthcare NHS Trust said the issues Dr Drew raises have been addressed through two formal legal processes, ongoing since 2009. He said: ‘In 2012 the case went to an Employment Tribunal and we are satisfied with the outcome of the case and that of the recent Employment Appeals Tribunal that dismissed Dr Drew’s claims. ‘We would like to reiterate that this case did not question Dr Drew’s skills as a paediatric consultant and on behalf of the Trust would like to say that we regret that the situation had to get to the Tribunal stage. 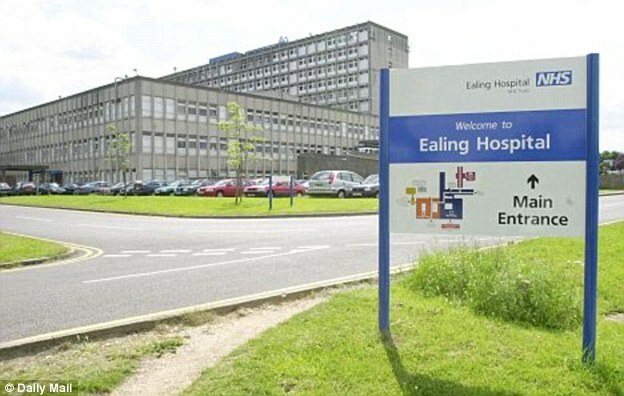 Meanwhile, responding to Ms Chowdhury’s concerns, a spokesman for London North West Healthcare NHS Trust – which now includes Ealing Trust – said: ‘The Trust commissioned an independent report which was undertaken by Parkhill counter fraud services. Concerns about the Freedom to Speak up Review. We are two of the whistleblowers who contributed to your Freedom to Speak up Review. We have now had an opportunity to digest your report and have a number of serious concerns. We deal with one of them in this letter. More than 600 individuals made detailed submissions to the quantitative review. Most of these, as your report concedes, experienced victimisation after reporting concerns. In some cases you described this as ‘truly shocking’. The concern we wish to raise with you here is about the disclosures made to you by these individuals. We suppose that many, like us, assumed that you would take these seriously as disclosures made in the public interest and act on them. That is consistent with the review procedure and what you told us when we first met you. Your report, however, makes no mention of the disclosures any of us made or what action you have taken. Here are thumb-nails of the disclosures we personally made. These are serious and unresolved. Dr David Drew: The cover-up of a hospital’s and a hospital consultant’s catastrophic failure that led to the non-accidental death of a 16-month-old boy. The hospital’s refusal despite comprehensive evidence to accept or investigate allegations of this cover-up. The failure of a Royal College of Paediatrics review panel to take evidence of this seriously and investigate. 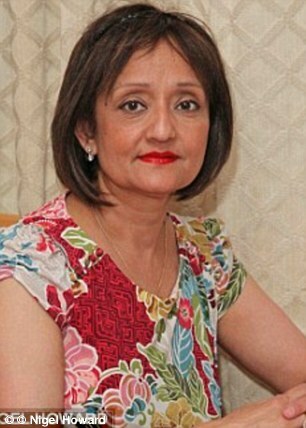 Ms Sharmila Chowdhury: I was senior radiography manager at Ealing NHS when I reported fraudulent claims in excess of £250,000. This involved moonlighting whilst being paid by the trust, double claiming and claiming for overtimes not undertaken. I was dismissed following a false counter-allegation. I won my case at the interim relief tribunal. The large sums the trust was defrauded of have never been returned and the perpetrators and senior managers who covered this up have not been made accountable. I reasonably believe that this fraud may be continuing. Even these examples show that you have allowed situations where patients are at risk and where managers act defensively out of self-interest to continue unaddressed. Amongst the other 600 plus submissions there must be, and we know there are, more examples of fraud and unresolved patient risk. Even if you considered, as you suggest in the conclusion of your report, that re-opening our cases would be too troublesome we expected that you would have taken action in these matters which involved patient harm, death and fraud. Those responsible have not been held accountable. Lessons have not been learned. Patients and their relatives have not been told the truth. We consider this failure to address our concerns a serious flaw in your review. We feel that we have not been taken seriously which has been our experience as whistle-blowers all along. It seems appropriate to us that you allow independent scrutiny of all the submissions so that these matters can be addressed. We look forward to a speedy and comprehensive response.